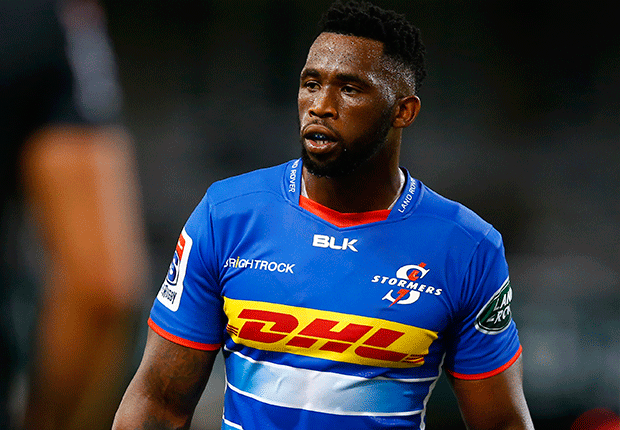 Cape Town - Stormers captain Siya Kolisi says that his team will be giving it everything on their four-week Australasian tour. Having left Cape Town on Sunday, the Stormers’ first assignment on tour will be against the Hurricanes at the Westpac Stadium in Wellington on Saturday, before they face the Blues in Auckland, the Reds in Brisbane and the Rebels in Melbourne. Kolisi said that his team is determined to make an impression from the start, as they look to add to their consecutive victories against the Lions, Sharks and Jaguares. "We are going there with confidence, we are not going to hold back. We are going flat out to give it our best. We are going to give it everything we can," he said. "Our first game is the Hurricanes and we will worry about the Blues after that. "We are going to keep working hard at the things we are good at and try and manage the game at our own pace as well.". Coach Robbie Fleck believes that his team can still improve in a number of areas and is viewing the tour as an opportunity to grow their game further. "I still think that there is a lot for us to do, but when we get it right tactically, this team can do some good things," he said. "The group is energised and happy. They are working hard and we know that this tour is really important for us so we are looking forward to it. "I still think that we can get better in our attack. Our set-piece is functioning well at the moment, which it didn’t n that first game against the Bulls. A lot of our opportunities come from our set-piece and I think the team is starting to get to grips with what is needed from them on attack." Fleck is looking forward to the challenge of playing in New Zealand and he knows that tactically they will have to be on the money. "It is a different kettle of fish playing in New Zealand in their backyard, but there are some players in this group that have won there before," he said. "For us it is about getting some momentum and that confidence to play a bit more on the front foot. "Tactically we are going to have to be pretty smart and control the tempo of the game, because the Kiwis like to speed things up. They are pretty physical at the breakdown and like to get the ascendency there, so we have got some work to do."